Hello! Thank you for your interest in my profile. 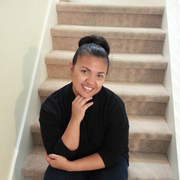 I am an experienced caregiver and have baby sitting services in my home or yours. I am a non-smoker and have no pets. I am willing to give above and beyond what is expected from a baby sitter. I can provide several references from families through out the area that were satisfied with my services. I have a medical background in the US Air Force for 10 years working in pediatrics and inpatient units with child patients. My children are my life and I am sure a lot of parents feel the same. If you want someone to care for your child like their own, please feel free to contact me. I have plenty of experience with newborns and toddlers a well. Thank you. Great first impression and an ideal sitter for our child. Elizabeth was very warm and welcoming and had a great day planned. We will definitely take advantage of this terrific sitter again! Her home was very clean and safe. Our son enjoyed playing with her kids and left her home with new friends. I can't say enough positive things about my experience with Elizabeth. I needed to travel to Tampa for a convention and wanted to bring my 7month old along so I could continue to nurse her while I was on travel. Elizabeth was very responsive in her communication to me and provided me with references and corroborating documents. I'm a law enforcement officer so I am always very meticulous about verifying information on potential child care providers. I was very comfortable with Elizabeth's level experience and her references also had very positive feed back. Elizabeth watched my daughter for 4 days (M-Th) at my hotel in Tampa. She arrived promptly every morning and was able to take on the care for my daughter without missing a beat. She was gentle and very affectionate with her. My daughter was a happy camper the whole week. Elizabeth brought toys and a swim diaper to bring my daughter to the hotel pool. She checked in with me throughout the day to let me know when they were leaving for walks. She also helped me with doing laundry for my daughter and going to the nearby grocery store to pick up extra baby food. Elizabeth really went above and beyond to help me and my daughter. All in all, I couldn't have asked for a better experience. Liz helped us temporarily with our 17-month old boy for several weeks while we were looking for our part-time nanny. We would've loved to have kept her, however, could not offer her the full time hours she wanted. She was always prompt on her days she was scheduled to work and our son enjoyed spending time playing and learning with her. She is warm, responsible, and dedicated, which were all qualities we found important in a nanny. She will be a great asset to whichever family she pursues her career with next. Elizabeth is everything you want in a babysitter; timely, caring, energetic, responsible, and went above and beyond to bond with my son. I was traveling to St Pete Beach for vacation and was looking for someone to help me out so I could have some fun in the sun as well. Elizabeth researched my resort to find out all the fun possibilities and asked me questions about what my son liked and came with toys that he LOVED! She even left some toys with us that her children had outgrown. My only regret, I can't have Elizabeth in Chicago, I would hire her today! If you have the chance to meet Elizabeth, I promise you will not be disappointing! Thank you so much!